If you’re looking to cut costs wherever possible on your new computer, buying refurbished is another thing to consider. However, like with reusing old components, you’ve got to know what to look for to make it worth your while. Let’s cover what you need to know. Technically, a product that’s labelled as refurbished could mean different things depending on the particular product and where you’re buying it from. There’s no official standard for what constitutes a refurbished product, and it could mean any number of things such as a new product that had a defect fixed by the manufacturer, a product damaged in transit or whilst on display that’s been fixed by the manufacturer, or a product that’s simply been returned by a customer and has nothing wrong with it. In a nutshell, buying refurbished can be worth it in some cases as the product goes through extensive testing before being put back up for sale and so you know it’s going to work when it arrives at your house. PC builders who want to save every dollar they can use refurbished parts with success all the time, but it’s personal preference as to whether it’s worth the slight added risk to you or not and whether you mind getting a product that may have had a defect fixed. 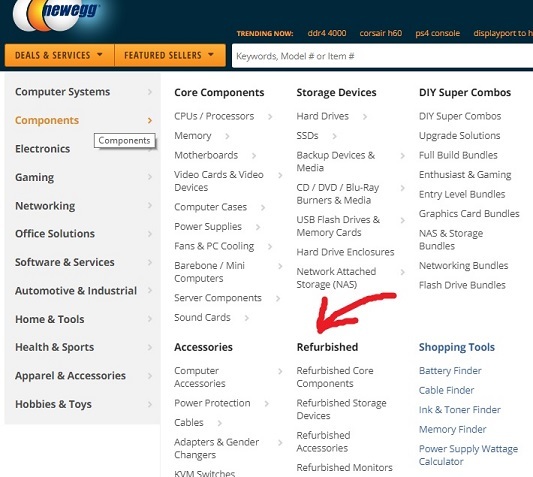 Should You Buy Refurbished Hardware Parts? Whether you should buy something refurbished or not, whether that’s hardware or peripherals, totally depends on the specific item you’re considering, how much it’s going to save you (ie is it worth the lower cost), and where you’re buying it from including what the warranty is like. If you ask different hardware enthusiasts about refurbished, you’ll likely get mixed opinions as at the end of the day it comes down to personal preference. Some people love buying refurbished if they can spot a bargain and have been doing so without issues for years, others avoid it because they want the peace of mind of having everything new and don’t feel its worth it, and then there’s those who have had a bad experience buying something refurbished (ie the part died within a few months) and would never buy refurbished again. When it comes to building a PC, any part is fair game to consider picking up refurbished if you can find a good deal on something that fits your requirements (and that isn’t too old) with the exception of storage (HDDs: SSDs are ok tho as we’ll explain in a bit) and power supplies which you should avoid buying refurbished or used at all costs. You could get a refurbished HDD or PSU if you really wanted to, but we don’t recommend it as these are components you really do want to get brand new because they’re the parts that are most likely to fail you. You want to ensure they are running at peak reliability and condition for a new PC setup, and you just don’t know how they’ve been used in the past or what issues they may have had (or still have). Hard Disk Drives fail all the same when bought new due to all the little moving parts inside, so you can imagine the added gamble of buying one second hand. Used/refurbished power supplies are especially not recommended either, because you are not just risking the reliability and longevity of your system, but if you get unlucky a dodgy power supply could potentially damage all of your other parts. The more powerful your new build, the more you should avoid used power supplies because it’s just too much of a gamble risking your new expensive components. Plus, for a high-end or top-tier rig you want optimal efficiency and reliability for years to come. So get a refurbished part if you think it’s worth it to you and will save you money, but just know there’s an added risk factor and you don’t know how the previous user treated it. There is a chance it’ll die sooner than expected, ‘cause there’s just no knowing how the previous user treated it. The difference between refurbished and used is simply that refurbished parts have been thoroughly tested and/or fixed where necessary, so you know there aren’t any defects and that it’s going to work, whereas with used parts there’s no telling if the part is defective or not. I would avoid buying used hardware from private sellers, as it’s basically a lottery, and if you want to find great bargains then stick to refurbished parts as they are tested properly. 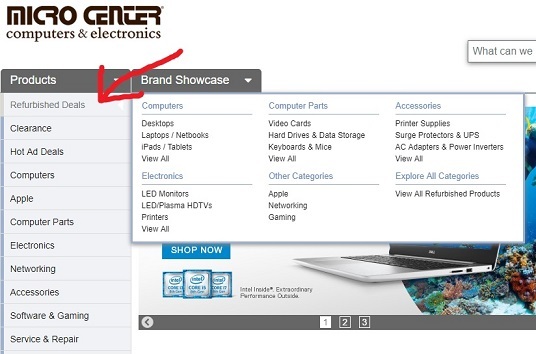 Because you typically won’t be able to find out the exact history of a refurbished product, as a general rule of thumb you should only consider buying refurbished hardware from hardware stores and sellers that you trust so that you know they’ve been thoroughly tested and/or repaired if they were defective or damaged. For example, large and respectable hardware stores like Amazon (see their refurbished hardware here) and Newegg who have long track records are safe bets to buy refurbished stuff, and you’ll likely still be getting a decent warranty, too. But of course, still be wary no matter where you’re buying, and don’t jump into buying a refurbished product too quickly without doing your homework and ensuring it’s worth it compared to just buying a new version. It sure beats buying second hand from a private seller, though. Also make sure that wherever you’re buying from is listing a “manufacturer” or “factory” refurbished item, and not a “seller refurbished”, especially if you’re considering buying from a smaller or lesser-known retailer. Only consider items that are in their original packaging, and again - make sure they have a warranty! We’re all for supporting the small guy, as that’s exactly what we are within the hardware publishing industry, but when buying hardware or accessories refurbished you should probably avoid the small stores or single person sellers who may be running a repair-and-sell operation. Lastly, consider the warranty of the product, as refurbished parts typically have a short or limited type of warranty. Ensure there is at least some sort of warranty in case the thing dies immediately after buying. Should You Buy a Refurbished Motherboard? As well as avoiding refurbished power supplies and storage drives, I would personally add motherboards to your no-go list, although if you find an exceptional deal from a reliable manufacturer and store, that also has a decent warranty, then go ahead and consider it. But the reason you should probably avoid refurbished motherboards is because it’s the central nervous system to your PC, and a failure of the board could potentially risk all your other components that are connected to it. You want your motherboard to be as fresh, reliable and fault-free as possible to ensure your new system lives a long, healthy life because the motherboard isn’t something you’ll be upgrading later down the track and you want it to last you years and years. Good motherboards for your gaming PC don't have to be expensive, especially if you don't need fancy features like good overclocking capabilities and are just building a typical standard system. Should You Buy a Refurbished CPU? CPUs are sturdy little things, and if you buy a refurbished one you should be fine so long as it’s working fine as there’s not too much wrong that could go wrong with a CPU. Make sure it doesn’t have any bent pins though, as this is a red flag and could cause problems down the line. But yeah, if it’s working fine, odds are it should continue working fine for years to come. As always, consider the warranty that it comes with. Should You Buy a Refurbished SSD? We mentioned avoiding refurbished HDDs (Hard Disk Drives, ie traditional hard drives) however SSDs are a different story as they’re much more sturdy and less likely to fail. Reason being is they don’t have any moving parts unlike HDDs, and so they’re much more resilient overall. So if you find an SSD refurbished at a good price, then do consider it, although personally I would only use a refurbished/used SSD if it isn’t the main drive in your system but a secondary storage drive instead. Should You Buy a Refurbished Video Card? Saving money with a refurbished graphics card can be real tempting as a good gaming video card can cost you a lot of money, and it could very well be worth it if you find the right deal on a good card that fits your requirements. It doesn’t have the same risks when compared with power supplies, hard drives, or motherboards where there are multiple points of failure (and it’s not the end of the world if a GPU fails because it’s not like a motherboard where other parts may be negatively affected/damaged), but it still is a gamble as with any refurbished or used part, so tread carefully and do your due diligence. Make sure you have some sort of warranty, make sure the card isn’t too old, and try to find out what was wrong with the card in the first place, if anything. Personally, I’d only consider a refurbished graphics card if you find a really attractive deal from a big, trusted store (ie Amazon, Newegg, BestBuy, etc) and it’s a fairly recent model with a decent warranty from the actual manufacturer. Should You Buy a Refurbished Case? There’s not too much that can go wrong with a case when compared to other components as there’s no electrical or moving parts involved besides the front ports, switches and included fans - although these are all simple parts that either work or don’t so if there’s no issue with these things then you’ll be fine and there’s little chance they’ll let you down. Deciding to buy a refurbished case or not will come down to what’s wrong with the aesthetics, such as scratches, dents or other cosmetic issues, so if you’re not one to care about these things then you might be able to pick up a good bargain. Gaming monitors may also be a potentially good deal to get refurbished so long as they have some sort of decent warranty (I’d say ideally 1 year and 6 months minimum) and you’re fine with the possibility of getting a dead pixel or two. Monitors often get returned for this reason and then they are sometimes put straight back up for sale (yes, with a dead pixel) unfortunately, however a dead pixel is not the end of the world and some people wouldn’t even notice it. But yeah, so long as there’s some sort of return policy then you could always return it, so overall refurbished monitors can be a great way to save as monitors can quickly eat into even the healthiest of build budgets. As for keyboards, mice, headsets, speakers, etc, these are also all fair game to get refurbished if you find a good deal as these parts either work or not. The only thing I’d probably avoid in this realm would be with mechanical keyboards, as each key is an individual mechanical component which could possibly fail early, so there’s a bit more risk involved especially if the warranty is short. Also, if you’re a pro or aspiring pro gamer who cares about every little microsecond of precision, speed and accuracy and you wish to grab a high-quality mouse, I’d personally only ever buy a new one to avoid any potential issues now or down the road so you can game at your best at all times without having to worry about whether your mouse has a defect that you may or may not be aware of.